After angering Israel and Jewish Prime Minister Benjamin Netanyahu, this morning one of Barack Obama’s most closely guarded secrets has been leaked: proof of Obama’s alliance with Muslim countries. This evidence appears to have been accidentally leaked by the Egyptians, perhaps through Israeli subterfuge, in the form of the minutes of a meeting between U.S. Secretary of State John Kerry, National Security Adviser Susan Rice and Palestinian officials. Egyptian media published the private minutes of the meeting between the Obama administration and Palestinian officials over the Christmas holiday. In that meeting, Kerry and Rice presented to the Muslim coalition that the Obama administration was ready to cooperate with a Palestinian action at the Security Council. Kerry then reportedly suggested the Palestinians could bring up ideas for a forced permanent solution to the conflict and discuss them with the Saudi government with American support before Trump got into office. Knows their Muslim allies are behind Middle Eastern terror but asked them to slow down, not because of the loss of life, but because it would hurt “their” cause. The Obama administration have been controlling the Palestinian cause and actions for the last 8 years which have included suicide bombings, terror attacks, and act of international war. They see Trump as dangerous as he will oppose “their” cause. This revelation is the latest and most damning evidence of the Obama alliance with his Muslim allies to advance a pro-Islam, anti-Israel, anti-American agenda for the last eight years. 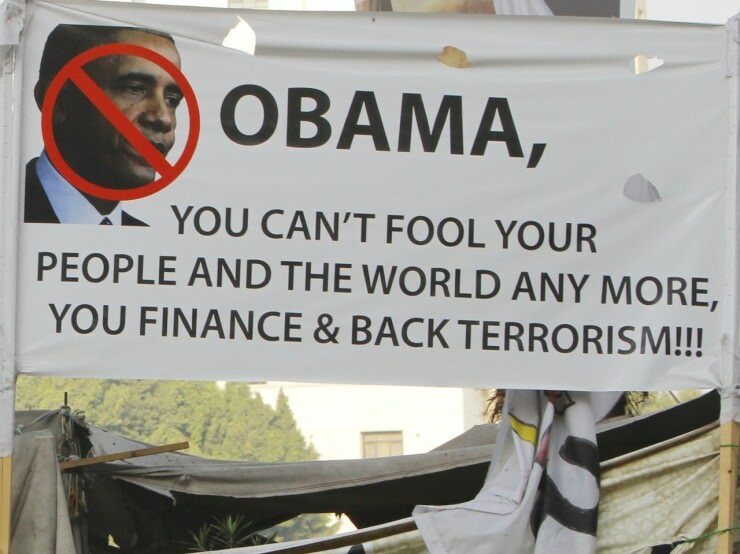 Liberal Democrat Professor: Obama is the "Worst Foreign Policy President Ever""Ministry of Truth" Quietly Approved by Obama to Silence People's Voices!